Sandra "Sandi" Anita Russell was born in Harlem, New York City, on January 16, 1946, to James "Jimmy" and Gazetta "Etta" Russell. She was a descendant, through her mother, of the Native American tribe who befriended the first English settlers in Virginia, and the African slaves who helped create America. Sandi grew up in Harlem during the U.S. Civil Rights era. Sandi was educated at the New York City High School of Music and Art; Syracuse University, Syracuse, New York; and Hunter College of the City of New York. She trained as a classical musician before becoming a professional jazz singer. Sandi spent her first thirty-odd years in New York City, becoming a teacher, and then a superb jazz singer, performing in Manhattan's finest venues. Sandi moved to England in 1984. She continued to perform and record with other outstanding musicians, while developing a parallel career as a journalist and writer. Her highly praised book, Render Me My Song: African-American Women Writers from Slavery to the Present appeared on both sides of the Atlantic in 1991, (2nd edition in 2002), and was the basis for an acclaimed one-woman show that Sandi performed throughout Europe and the U.K. ELLA! , her one-woman show about the life and music of Ella Fitzgerald, also united Sandi's exceptional gifts as a singer and writer. Her major recorded albums Incandescent and Sweet Thunder , were released in 2001 and 2007, respectively. Sandi's novel, Color , set in Tidewater County, Virginia, was published in 2013, and favourably compared with the work of William Faulkner and Toni Morrison. Sandi published essays, poems, and short stories, and contributed interviews and reviews to The Women's Review (London), and Wasafiri (Canterbury). She contributed to Daughters of Africa (Jonathan Cape) and Glancing Fires (The Women's Press), and co-edited the Virago Book of Love Poetry . She guest lectured at many universities and conferences in Britain and Europe and appeared on British (BBC) and American (Voice of America) radio. 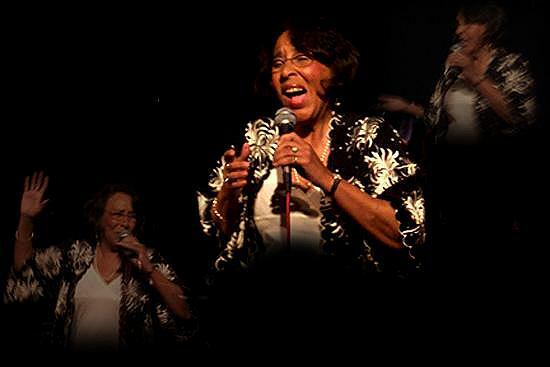 Sandi was a jazz vocal instructor at Durham University, Durham, England, and an Honorary Fellow of St. Chad's College, Durham. Sandi departed this life on June 23, 2017. She leaves, to celebrate her life, family members in Virginia and New York, and a host of friends in the U.S. and the U.K.